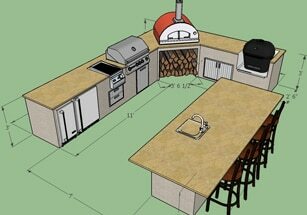 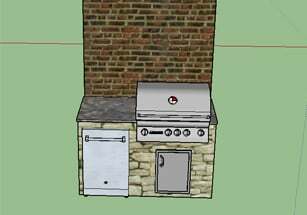 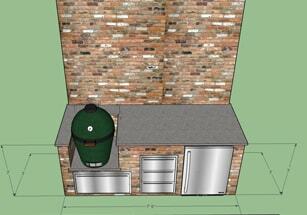 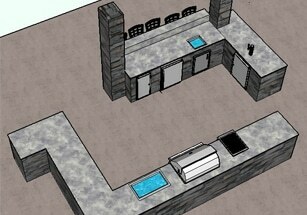 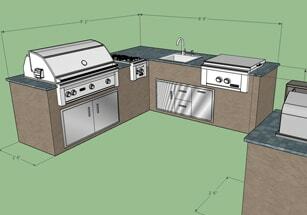 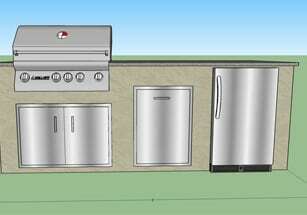 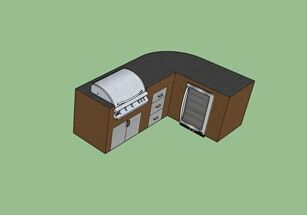 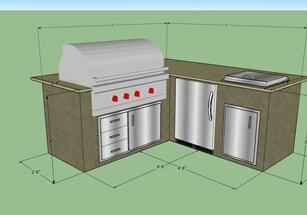 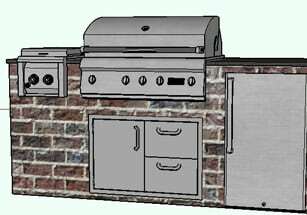 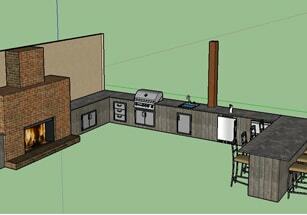 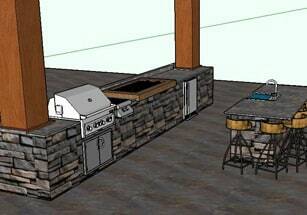 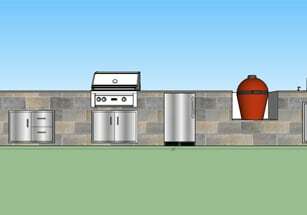 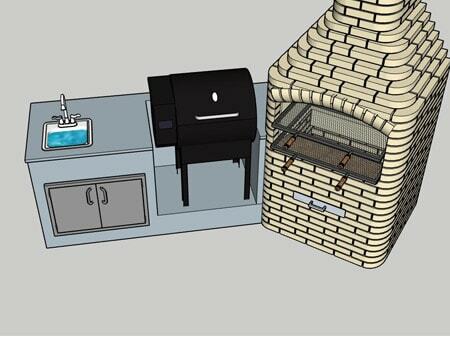 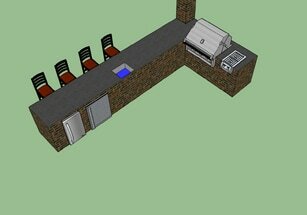 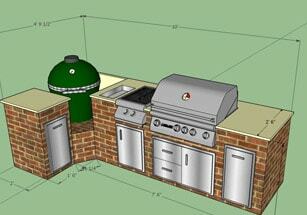 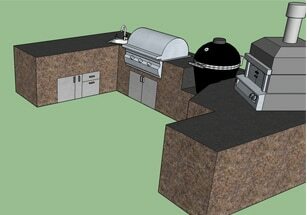 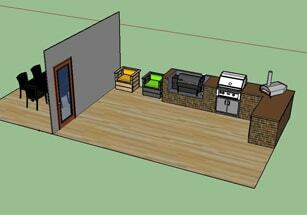 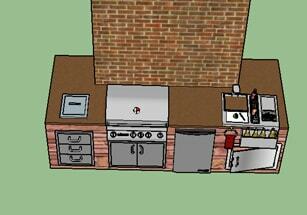 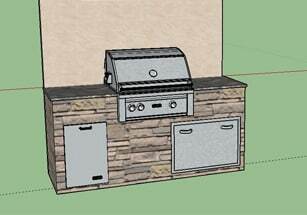 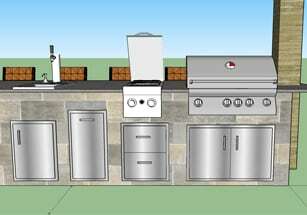 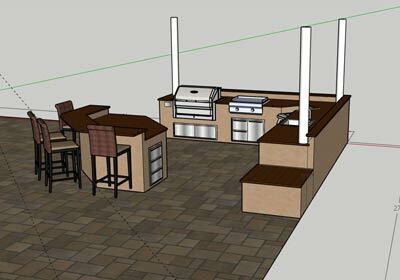 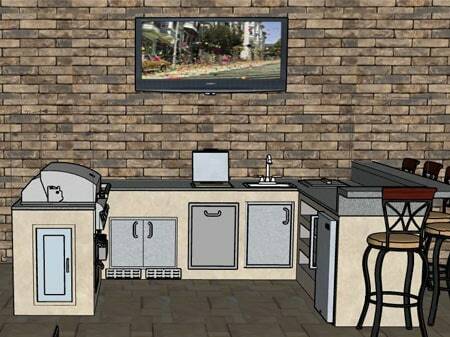 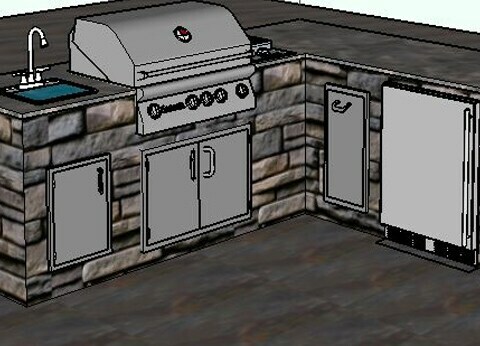 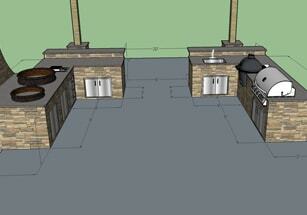 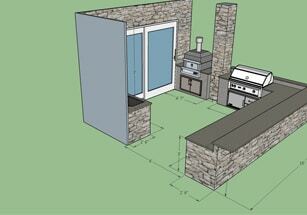 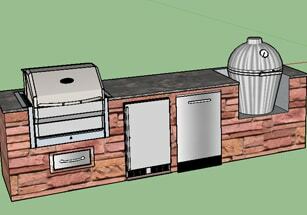 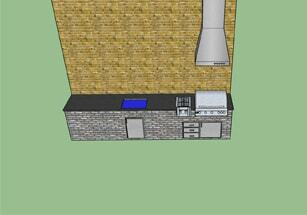 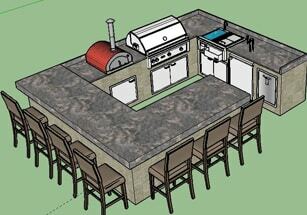 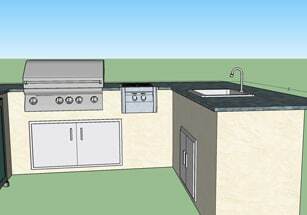 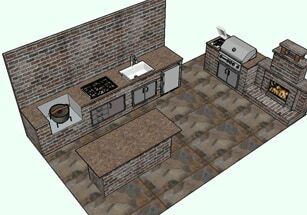 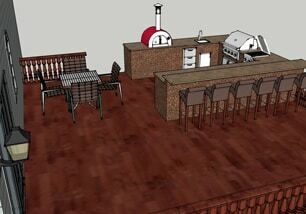 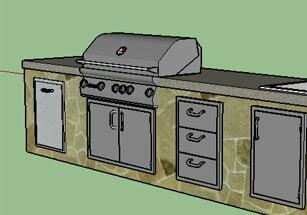 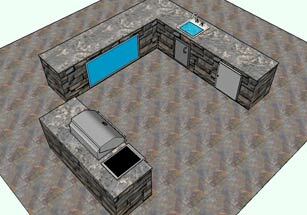 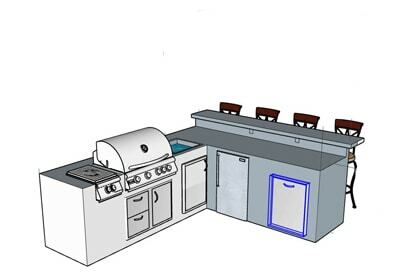 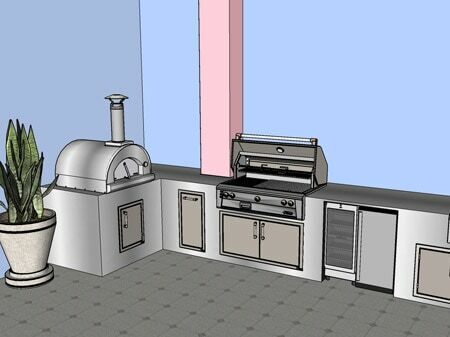 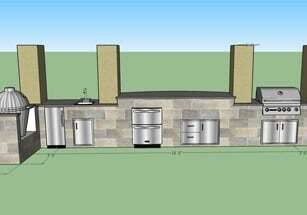 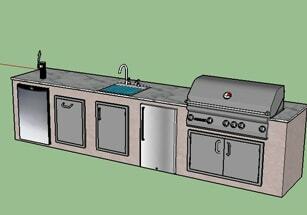 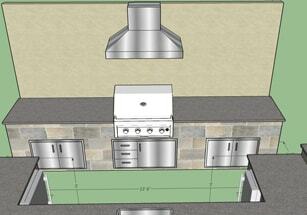 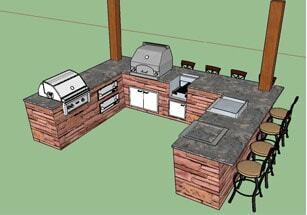 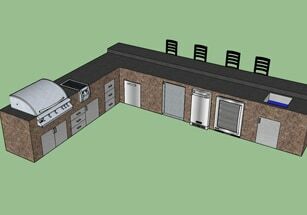 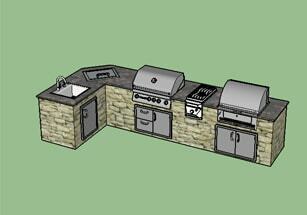 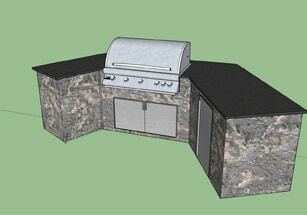 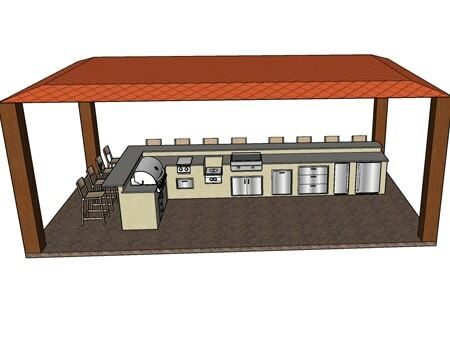 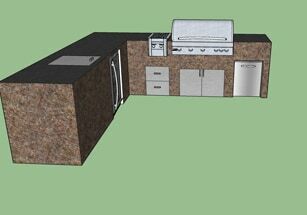 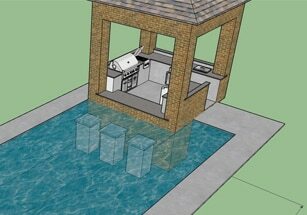 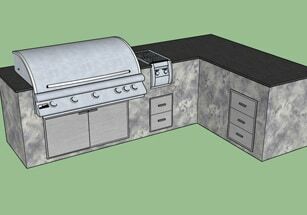 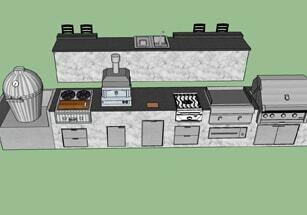 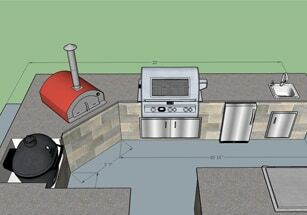 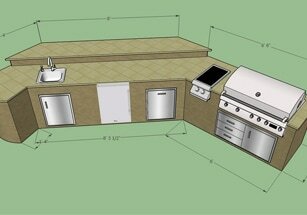 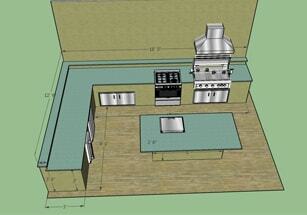 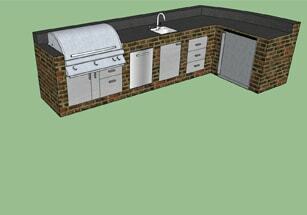 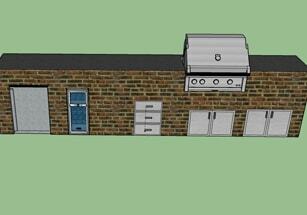 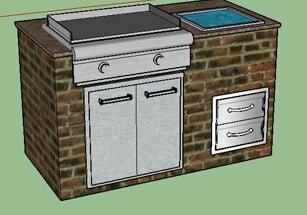 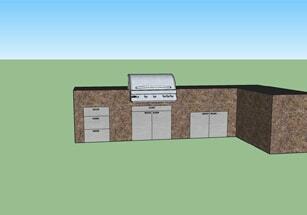 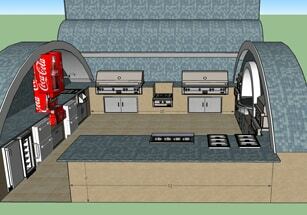 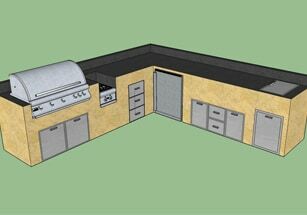 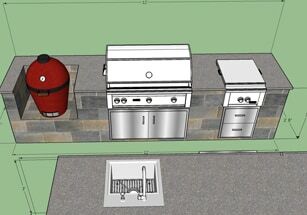 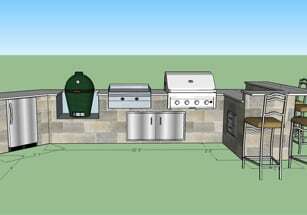 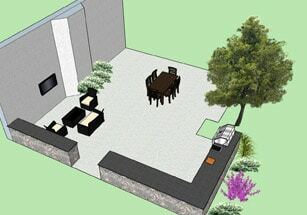 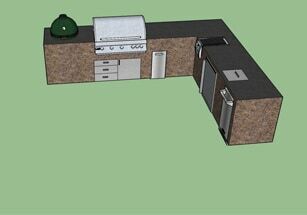 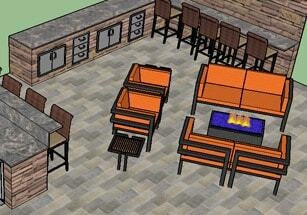 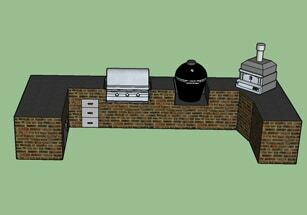 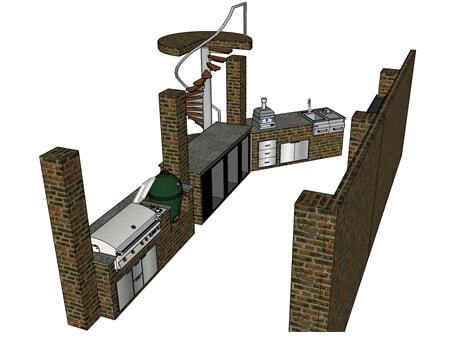 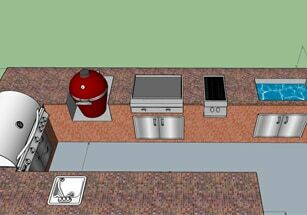 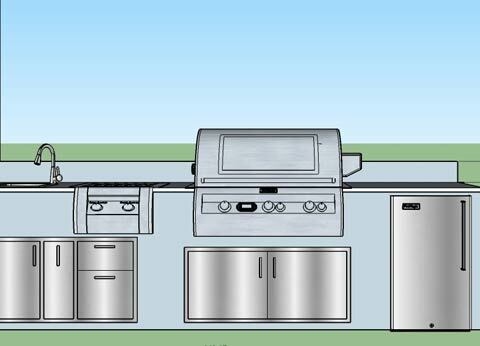 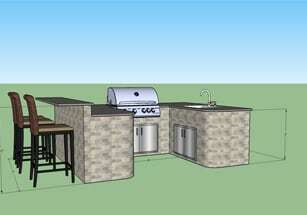 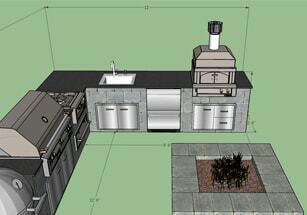 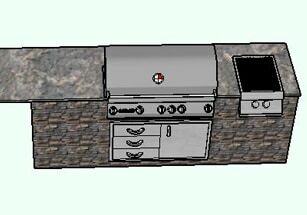 Looking to add an outdoor kitchen and want to add all the essentials of an indoor kitchen? 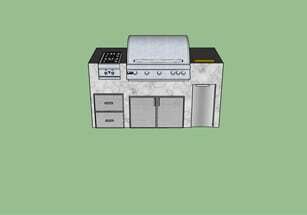 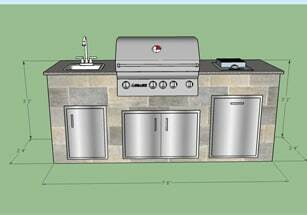 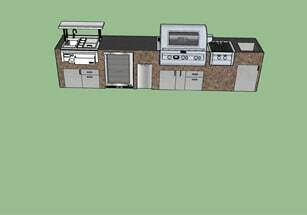 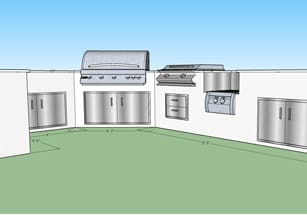 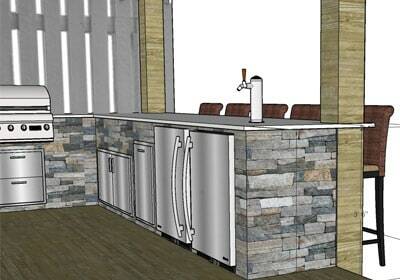 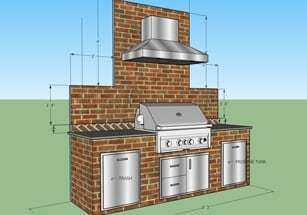 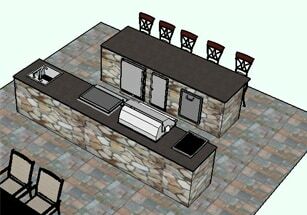 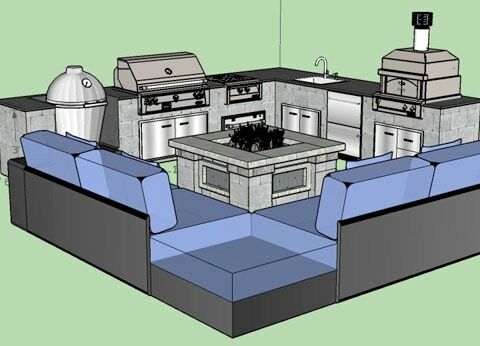 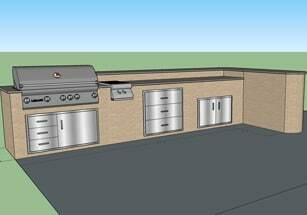 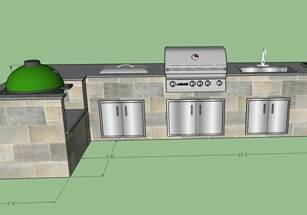 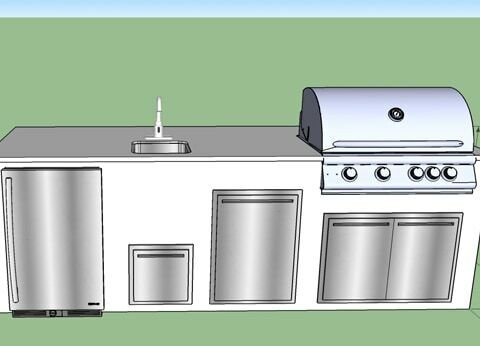 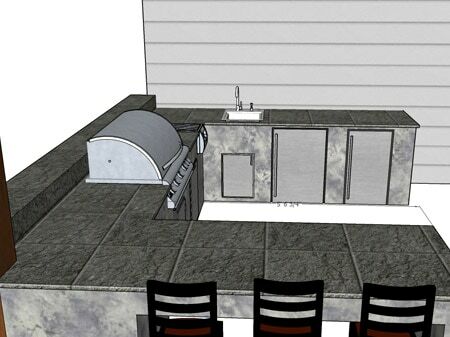 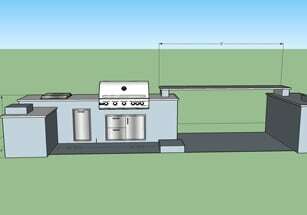 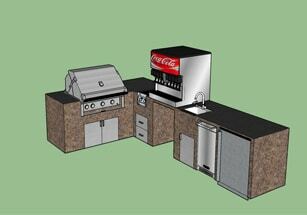 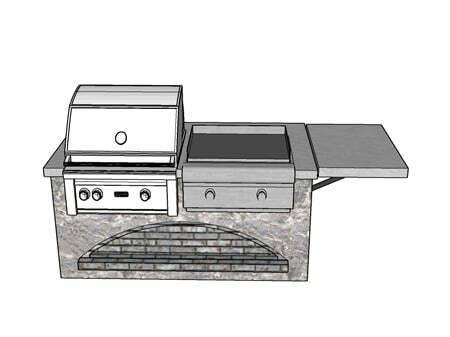 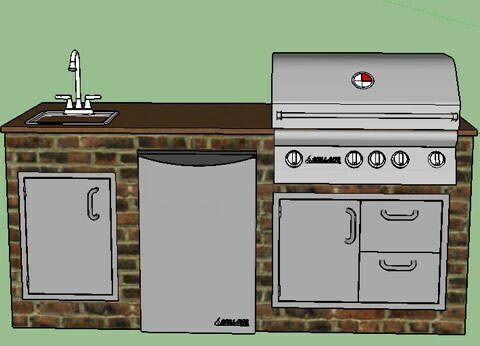 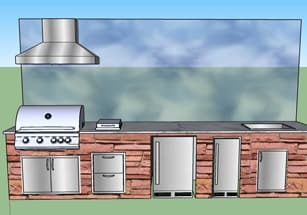 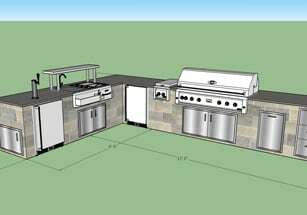 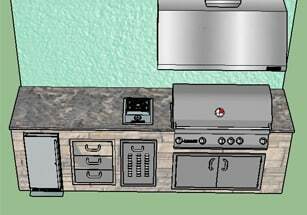 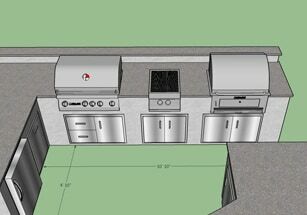 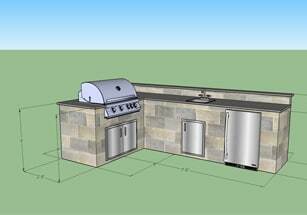 Our design experts can design an outdoor kitchen for you including the essentials like gas grills, access doors and drawers, outdoor refrigeration, side burners, trash bins, and sinks & faucets. 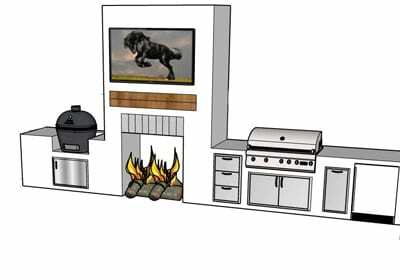 Click each design below to see what was included in the sketch.